Happy Easter, everyone! 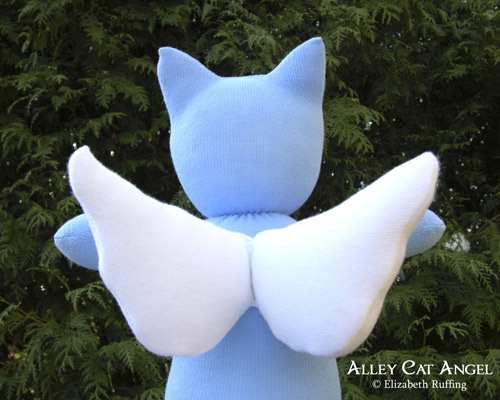 As I promised yesterday, I am posting a special “Alley Cat Angel” sock kitten today. 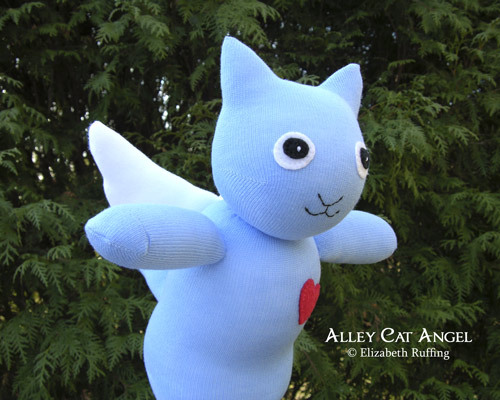 This Alley Cat Angel is up in my Etsy toy shop now. 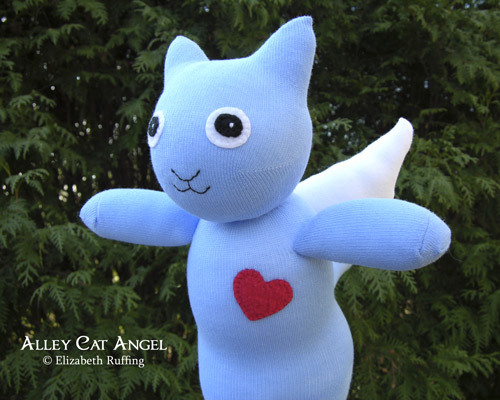 All the proceeds from the sale of this kitty will go to a local cat and kitten rescue group, less the shipping amount. 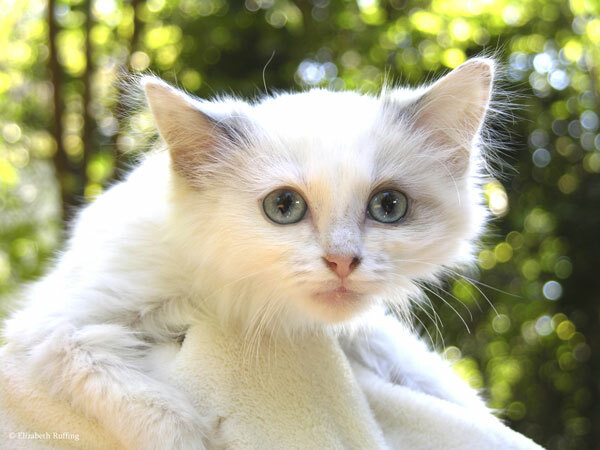 Update: This Alley Cat Angel has been adopted! Thank you! My Alley Cat Angel is approximately 16 inches tall from the top of her pointy ears to the bottom of her paws, and approximately 11 inches tall when seated. 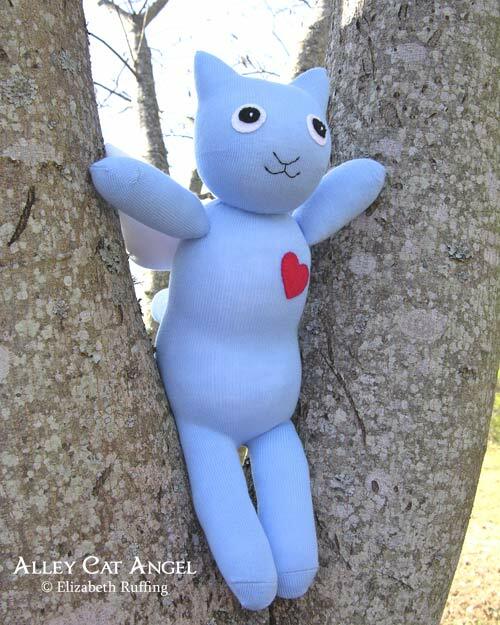 She is a lovely light blue, with a red fleece heart. 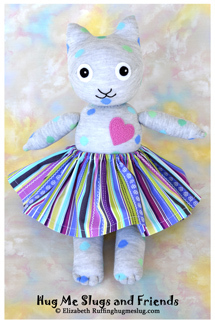 All her details are sewn on by hand with embroidery floss. She has a very sweet expression, fitting an angel. Her puffy white wings are made from socks too! They are also attached by hand. Being a kitty, of course she likes to climb trees, but unlike regular kitties, she can fly back down when she wants to. She comes with a hang tag that can be personalized as you wish. I can add a name for her or “For + a recipient’s name” if she is a gift. Her hang tag comes tied to her with a ribbon. I am happy to include a gift card for anyone wishing to send her as a gift to a separate address. 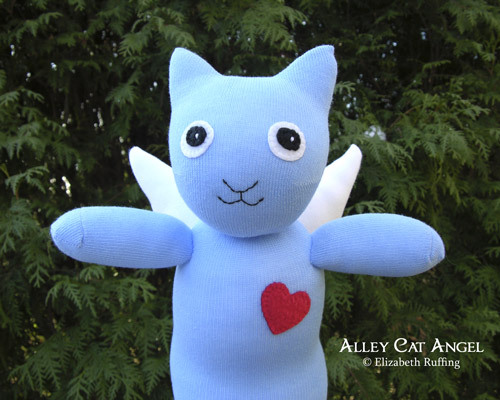 I plan to make more Alley Cat Angel sock kittens. 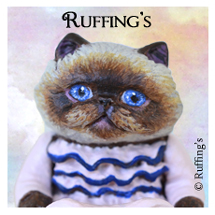 If you are on Facebook, please “like” our Ruffing’s page. I plan to post the new listings there, and on my blog. 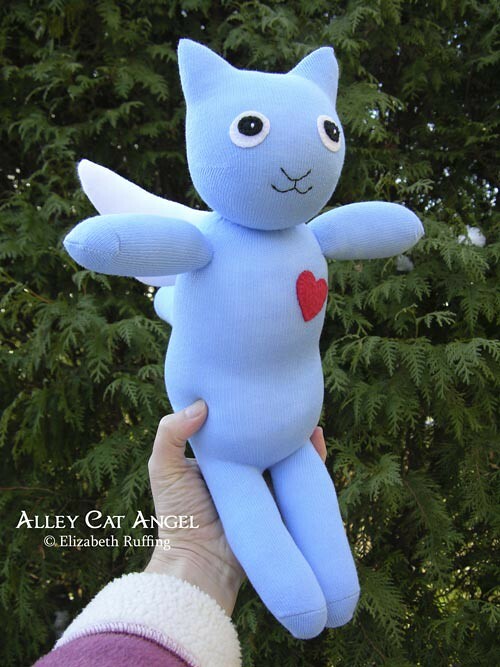 The proceeds from this first angel will be entirely for the rescue, and a portion of the proceeds for the subsequent angels will go to animal charities as well. They (and you, if you adopt one) will be helping animals in need. As you know, if you’ve been reading my blog, our little Josephine was rescued by and came from a cat rescue, and she is a very good girl indeed! 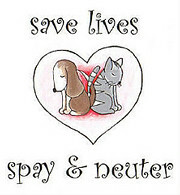 Please consider adopting a pet, and please spay and neuter your pets.